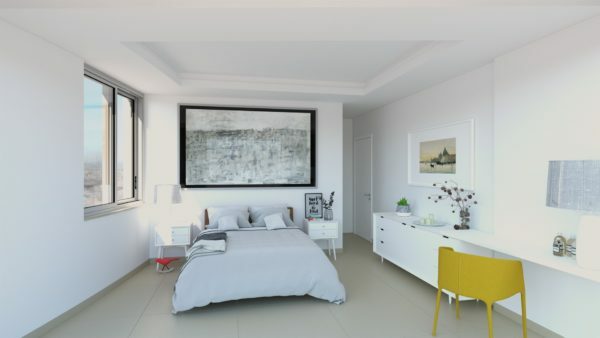 This new luxury condominium is located in a quiet and peaceful area on an elevated position with stunning views over the ocean and the Bay of Lagos. 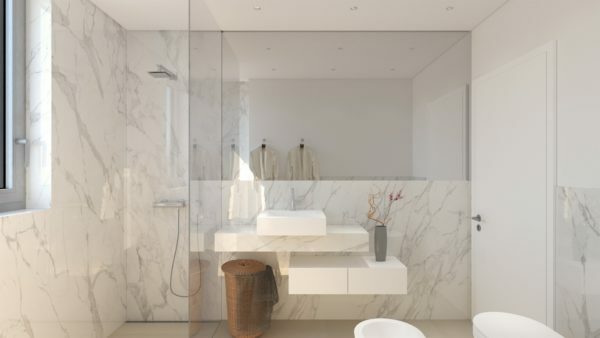 The design and construction according to high quality standards is reflected in all proposed equipment and appliances. 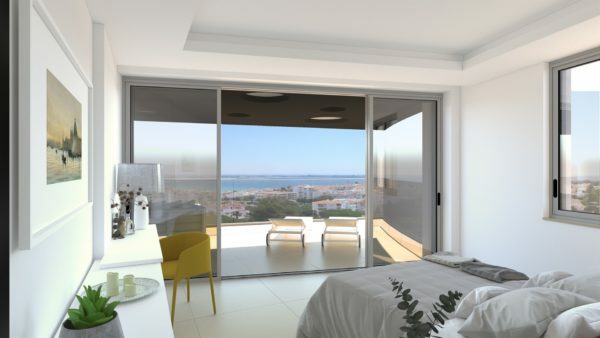 The apartments will consist of a modern fully equipped kitchen, a bright living dining room with access to a balcony with beautiful sea views, 2 bedrooms, one en-suite and a family bathroom. 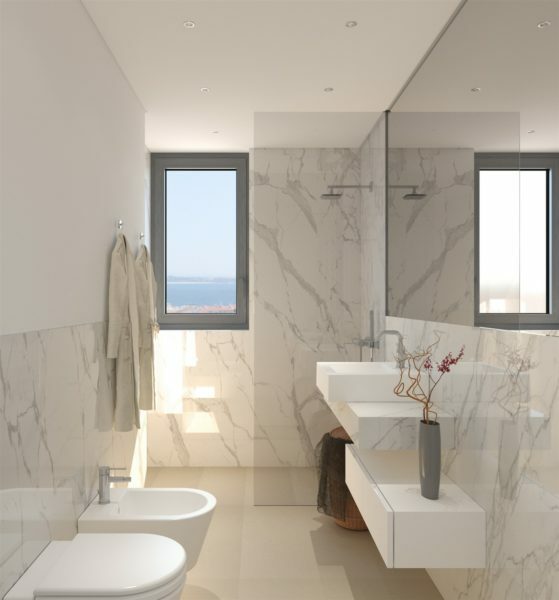 On the roof there will be a beautiful heated pool and a large terrace with stunning panoramic views. The apartments will also benefits from air conditioning, central vacuum system and parking space in the underground garage.